With spectacular event spaces and unrivalled levels of events expertise, Hilton Surfers Paradise brings five-star sophistication to one of Australia's most dynamic cities. Breakout areas offer diverse choices. On the same level as the ballroom, a pre-function lobby features floor-to-ceiling windows looking over the bustling High Street retail precinct. Three smaller breakout suites cater for more intimate gatherings. Our dedicated Theatre features large, comfortable armchairs – treat colleagues or clients to a private film screening or presentation. 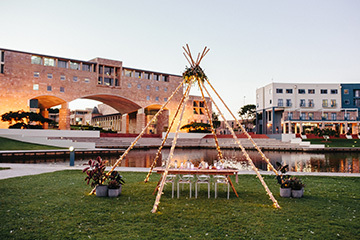 Outside, flexible spaces include The Deck, 1500 square metres of stylish pools, gardens and event spaces, including grassed pavilion areas and a podium space. 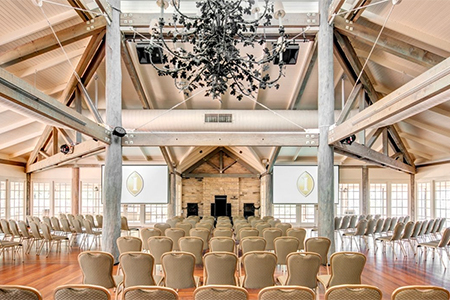 For larger events or breakouts, the expansive terrace has ample space, along with views over High Street. 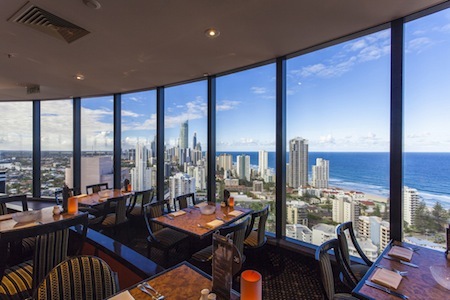 The Hilton Executive Floor provides additional comfort and services for business travellers, including the stunning Executive Lounge on the 15th floor, with breathtaking views over Surfers Paradise beach and city. A full-service Business Centre, along with high-speed internet access throughout the hotel, keeps delegates connected. We have a variety of menus for you and your guests to enjoy.